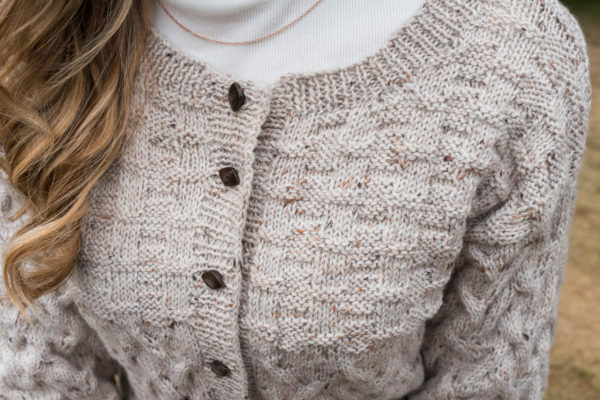 This cardigan is perfect for this time of year. Worked in Rico Design Essentials Merino Plus Tweed DK in Ecru our round necked cardigan comes in eight sizes ranging from 81 cm (32 ins) to 117 cm (46 ins). The soft feel yarn is hardwearing and if you don’t want to make it in Ecru, there are lots of other shades to choose from. 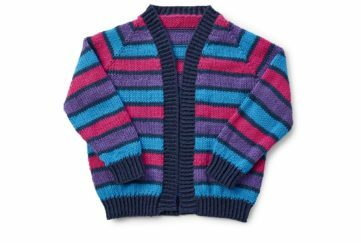 The design is worked over the entire cardigan and consists of stocking stitch (knit one row, purl one row) with a cable worked every six rows. The yoke features a geometric basketweave design which creates a lovely texture. We have marked this one as intermediate. There is nothing difficult, you just need to keep an eye on the stitch count and it will knit up quickly. We all need a cosy cardigan at this time of the year, why not make it this one?